Everyone wants to live in a house that is safe, protected, and secure. So, the best security is to deploy your homes with the best home security systems and for that you be aware of the different types of security systems. All security systems work on the same principle of protecting entry and valuables like windows, doors, art, guns and coin collections. It depends on you that where do you want to install the security components, how many do you want to install and monitored by the control panel regardless of the size of your house. A control panel which is the controller of all other components. Door and window sensors which alert if anyone breaks into the house through doors or windows. Motion sensors for both inside and outside the house which detects if any movement is made or if intrudes protrude into the house. 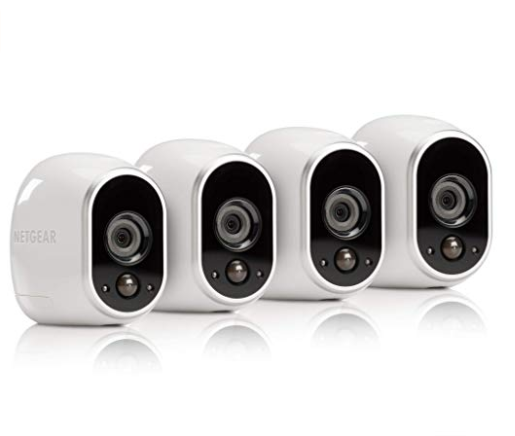 Wired or wireless security cameras to get a continuous visual of the house. A siren or an alarm whose decibel is high. Window stickers and yard sign. There are numerous home security systems and choosing one that both are best and reliable, can be quite frustrating and confusing. Maximum research should be done on any product before buying it is the right way as this is the matter of the security of your house and loved ones. Below are five home security systems which may be the one for you. It displays video in HD quality of 1080p that presents a more detailed version. PIR motion sensors capture every movement due to the wide angle of the sensors. The camera captures film 3 seconds before-hand and event occurs so you can see what really happened. There is an optional CVR if you want nonstop footage of the house 24/7. A smart siren is installed within the device which can be controlled remotely. It sends a signal of over 100 decibels and put a stop to a crime before it takes place. It allows you to communicate with your phone through the built-in speaker and mic. You do not need any extra cloud storage as it keeps recordings in the storage for seven days for free. If you want to keep the old recordings, then you can make a back-up in your USB or any other storage device. It can be used with both rechargeable batteries and the wire. As the camera highlights only those areas where you want it to so it becomes a little risky if a motion or sound is detected in an unmarked area. Also, this feature is only available when the security camera is plugged in. A separate cable is needed to plug the system outdoors as the cable provided with it is not waterproof. It is a versatile system that can be used anywhere around the house. It captures videos with an ultra-wide lens of 180 degrees in 1080p HD quality. Night vision mode is also available which enables to capture videos up to 15 feet in the dark. It recaps important events throughout the day into a short video of about 30 seconds. It lets you highlight five zones where you might think motion would be detected if you are not at home. It automatically sorts through relevant videos and images so you can see everyone who visits without the trouble of you sorting the footage. It comes with an in-built speaker and microphone so you can talk with your pet at home or anyone outside if it is placed outdoors. If a motion is detected in any specific motion zone, then it instantly alerts you of the intruder through the smartphone application. It is a home security system that can be connected with WI-FI. It can also be mounted on the window or can even be plug mounted. It is easy to set up and is compatible with Alexa, HomeKit and the Google Assistant. Whether it is cold, raining or sunny, this device is weatherproof and can handle all types of weather. The audio and video recordings are stored on the cloud storage for only 24 hours for free. This is a less time duration as compared to the other security systems which store for seven days. It is easy to install and the setup process is simple. It presents a very detailed resolution video of 1280x720p HD quality. 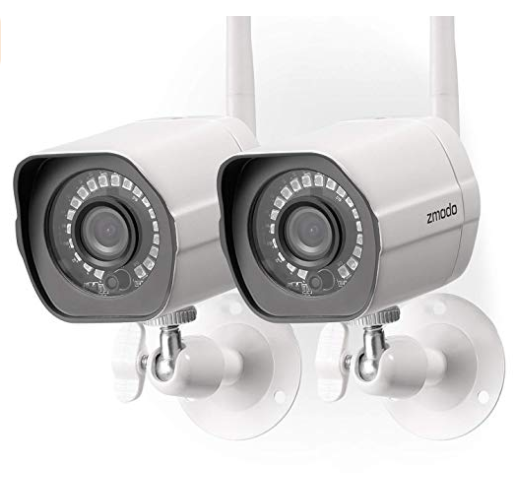 It facilitates us with the best surveillance system coverage in HD. Bright and clear images are produced due to the 111 degrees wide-angle lens. This home security camera can zoom up to 4x with a tap on your mobile phone. With the latest detection technology, it sends notifications to your phone if any abnormal activity takes place and keeps you updated 24/7. The night vision ability comes with a 940mm infrared sensor that provides with a clear vision in the dark. The two-way audio feature helps to stream live footage of your home and talk with your family. 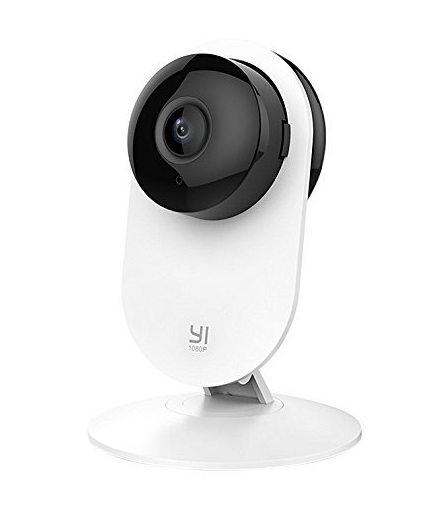 You can view up to 4 live camera footage simultaneously on one screen after connecting with the YI HOME App. This can be done wherever you are and you can keep track of your house or business. The device supports Secure Cloud Service that is encrypted. This allows you to see all videos in the cloud. It comes with a 32GB micro SD card local storage besides the live stream. Snapshots can be taken in real time. The Secure Cloud Service works only with 2.4GHz WI-FI network only. Distortion of sound takes place sometimes. The camera moves only in the vertical direction and needs to be mounted on the wall where it can pivot any angle. 24 infrared lights are in-built which are automatic and records clear images in the dark with the night vision technology. It records up to 65 feet. It is encrypted with bank-level AES of 256 bits. It is weatherproof with IP65 level. Protection of your home is possible in any weather be it rain or sunshine. The operating temperature lies between -0 degrees to 50 degrees. It covers 81 degrees of angle view with a lens of 2.8mm. When movement is detected it sends you video clips so it provides with a complete motion video wherever you are. You can also set specific zones where you want the home security system to focus. This allows you to reduce the number of false alerts like a plant swaying when a breeze blows over. All video and image recordings are stored in the Zmodo Cloud for free for about 36 hours. You can also go on a trial period of 7 days for the recording plan. Paid users can save video footage for 30 days or 7 days depending on your subscribed package. You can view videos on any mobile phone operating with Android or iOS or on the website. Four different locations can also be viewed at a time on a screwy with the Zmodo app. You can adjust the night vision feature according to your liking so you can even see the color footage in a dim lighting. This makes the night vision to trigger less easily. They give alerts when the wind blows, cats or bees move in the camera’s line of sight. It displays 1080p in HD quality and offers night vision technology of up to 33 feet. This presents you with sharp, clear, and bright images. It is powered with a battery that is rechargeable. 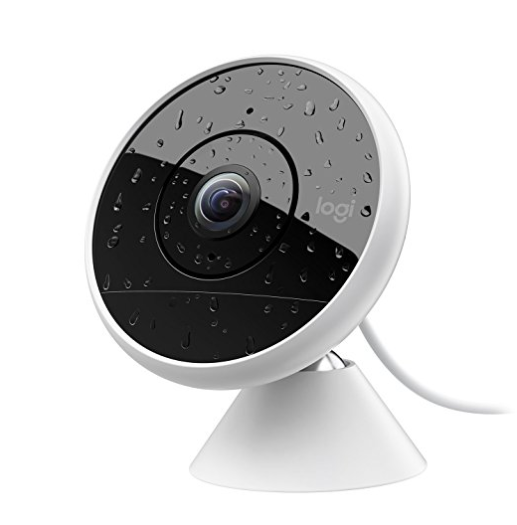 It displays video recording even in harsh conditions so it makes this security camera weatherproof. Live stream of footage can be done anywhere and anytime as long as you are connected to the internet via iOS, Android, Mac or any other computer. It captures 15 frames per second with 850nm IR LEDs. 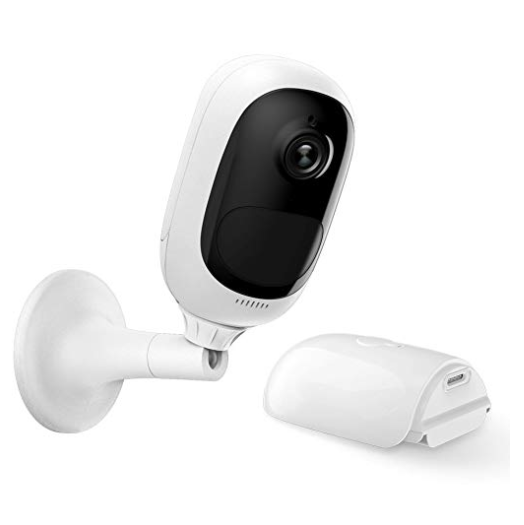 The weatherproof feature allows you to place your camera wherever you like such as the front door, backyard, inside the house or in the garage. Through the security system, you can talk and listen to conversations. This is possible because of the built-in speaker and microphone. PIR detecting angle is horizontal with 120 degrees of wide-angle view. You do not need to make holes in the walls to install the security cameras. Installation is easy so you do not need to pay professional installers. It has a rechargeable battery that charges the camera by 5V. It supports up to 64GB SD card. You can play the videos again and again via the REOLINK application for free. The IP camera can work with 2.4G WI-Fi router. The sound quality is low even at the highest volume.